The Early Bird fund performance indicators for March 2019 have been released. To get an early feel for what to expect of the month in terms of returns on your pension investment, the market gained 0.822% (Allshare Index ex div), ranging between -27.82% (Oil & Gas) and 9.32% (Technology). The Rand weakened by 2.32 % to the US$. Typical prudential managed pension portfolios returned between 2.494% (Coronation Balanced Plus Fund) and 0.000% (Hangala Prescient Balanced Fund) after fees. In February 2019 the average prudential balanced portfolio returned 2.8% (January 2019: 1.2%). Top performer is Investec Namibia Managed Fund (4.4%); while Hangala Prescient Absolute Balance Fund (1.4%) takes the bottom spot. For the 3-month period, Investec Namibia Managed Fund takes top spot, outperforming the ‘average’ by roughly 1.4%. On the other end of the scale Metropolitan Namibia Managed Fund underperformed the ‘average’ by 1.6%. Note that these returns are before asset management fees. Can we allow pension fund returns being diluted even more? To the end of February 2019 the average prudential balanced portfolio’s return of 8.2% represents a slightly improved outperformance of inflation of 5.1% and of the money market return of 7.6% over a 5 year period but still falling far short of both the money market portfolio and its long-term performance objective over any shorter periods. It only managed to achieve its long-term objective of inflation plus 5.5% over 10 years and longer. Our concern is not so much that equities may not meet their long-term return expectations going forward. Our concern is much more that pension fund investment returns are diluted ever more by what we have been referring to as a serious onslaught on the pensions industry that seems to be considered a duck that lays the golden egg. Consider the ever increasing cost as a result of increasing regulatory and governance requirements. Consider fiscal and monetary objectives of healing all sorts of ailments government and our national economy are experiencing where pension fund assets are forced into unlisted investments and where the local investment allocation will soon reach 45%, higher caps having been mooted already. In our commentary in the September column of this investment brief, we speculated that the investment regulations will result in pension funds’ equity allocation effectively being capped at 60% as opposed to an implicit allocation of 75% that the current typical pension fund model presupposes. This will dilute expected long-term pension fund returns down from 6.3% to 4.6% before fees. After fees we will thus be looking at a net return of below 4% per annum whereas the pension model requires 5.5%. The Benchmark actuarial report for 2017 has been released and can be downloaded here. As at 31 December 2016 the Benchmark Retirement Fund was the 4th largest fund in terms of assets and the 6th largest fund in terms of membership in Namibia, and that includes the ‘almighty’ GIPF! By 31 December 2017 the Fund’s assets grew by a further 27% reaching N$ 2.7 billion while its membership increased by 16% to just over 10,000 members. This is a remarkable achievement considering that Benchmark was only established at the beginning of 2000 and its growth can primarily be ascribed to word of mouth marketing. The Benchmark Retirement Fund is a unique fund of Namibian origin that caters for just about any need with regard to retirement provision, be it for employees of very small groups, SME’s and even large funds whose trustees do not want to be sucked into the maelstrom of the FIM Act and all its standards and regulations, for retirees, and for their minor and adult dependents. The Benchmark financial highlights for 2017 have been released and can be downloaded here. Last month we informed participants in the Benchmark Retirement Fund that the trustees resolved to discontinue bank funded pension backed housing loans, also referred to as indirect loans. This decision was taken because of the risk the fund faces where a member has tax debts. The Benchmark Retirement Fund does not offer a housing loan arrangement as a business proposition but is willing to assist employers who want to offer a housing loan arrangement to its employees. As an alternative to indirect loans, the trustees resolved to rather facilitate a loan arrangement at the request of a participating employer by way of direct loans where the fund does not face the risk of being unable to recover a loan balance as the result of the borrower’s tax debts. In this instance the borrower effectively ‘calls up’ a portion of his/her retirement benefit and cedes that portion of the benefit to the fund. In the event of a default by the borrower, the fund can simply repay the loan with a portion of the member’s retirement benefit. Unfortunately, however, some of the requirements of the Pension Funds Act with regard to housing loans cannot be enforced, policed or managed by the fund and the fund cannot grant loans that place such obligations on the fund unless this responsibility is borne by the employer and backed by an indemnity by the employer to the fund. For example, the Benchmark Retirement Fund does not have the resources or expertise to inspect and evaluate any work done under a loan. Where a loan is requested to purchase a property in a proclaimed municipal area, it is not very onerous to ensure that the requirements of the Pension Funds Act have been met. There is a very formal process to transfer the property into the name of the borrower and this can easily be properly substantiated by way of deed of transfer or title deed. Paying the transferring attorney is also a secure process and does not expose the fund to the risk of misappropriation of loan funds. In conclusion, the Benchmark Retirement Fund is willing to facilitate a housing loan arrangement in respect of the purchase of property in proclaimed municipal areas. Any building loans or loans in unproclaimed areas will only be considered if the employer is prepared to enter into an agreement with the fund that obliges the employer to ensure that the requirements of the Pension Funds Act are met. Trustees mostly understand that it is a risk to engage a single manager to manage their fund’s assets within a single investment mandate. But do they understand what risk or risks they face and which one will be reduced through the appointment of more than one manager and what is the correct number of managers to use? The trustees of the Benchmark Retirement Fund recently resolved to no longer grant pension backed housing loans as these pose a risk to the Fund. In terms of the Income Tax Act, the Receiver of Revenue has a first right to claim against any pay-out from any approved retirement fund. Where an employer entered into an agreement with the Fund and a Bank to offer pension backed housing loans to its employees the employer and the fund are contractually bound to redeem any outstanding housing loan balance in the event of the termination of fund membership of a person who had taken up a pension backed housing loan from the Bank. In such an instance, the administrator of the Fund is required to obtain a tax directive from Inland Revenue prior to paying out any portion of the member’s benefit if the total benefit is more than N$ 40,000. Any amount to be paid to the Bank constitutes a termination benefit and therefore requires the administrator to obtain a tax directive. Where the member owes Inland Revenue tax, the tax in excess of the net after tax benefit payable to the member, remains due to the Bank in terms of the agreement between Fund, Bank and employer. Attempts would now have to be made to recover this money from the former member, between the Fund and the employer. The situation with direct housing loans is quite different. In such cases the member borrows against his own interest in the fund. The maximum amount that is available to cover any tax debt of the member is the net after tax benefit of the member after the outstanding loan balance has been ‘offset’. Neither the Fund nor the employer faces any risk of recovering any remaining loan balance from the member. The Fund will in future only grant direct housing loans where the member borrows against his own benefit in the fund. In the next newsletter I will expand on the conditions for granting direct housing loans. We wish to draw the attention of employers who participate in the Benchmark Retirement Fund, to the fact that it is a requirement that all new employees joining the employer after the date the employer joined the fund, must be enrolled as members of the fund. This is not optional and employers affording new employees the choice whether or not to become a member are transgressing the rules, the agreement with the fund and the requirements of the Income Tax Act. Employers who engage in such practice firstly may find that the Receiver of Revenue cancels the tax approval of the employer’s pension fund. In terms of the Income Tax Act, membership of a fund must be obligatory in order for employee contributions being allowed as a deduction against the employee’s taxable income. Cancellation of tax approval will mean that the contributions that employees have made to the fund will be disallowed. In other words the employees that participate will be punished for the transgression by those the employer afforded the choice to join and who chose not to join. From the fund’s and the insurer’s perspective it is also important that membership is a condition of employment. This serves to ensure that the employees cannot apply anti-selection. In other words healthy employees are more likely not to join while those who know to have a health impediment are more likely to join. As the result the fund may end up with the poor risks undermining the principles of group underwriting. To protect the fund against such practices, the trustees have the powers to terminate membership of an employer. A number of members of employer groups have unclaimed benefits in the Benchmark Retirement Funds. They were employees of African Marketing, African Packaging, Benthin African Agencies, Blood Transfusion Services, Brandberg Construction, Diesel Electric, Gondwana Collection, Hartlief Corporation, Namibia Engineering Corporation, Namibia Red Cross, Nampharm, NNF, Novel Motor Company, Ohorongo Cement, Plastic Packaging, Polyoak Packaging, Scania Namibia, Transworld Cargo, Tunacor, Tyrepro Namibia and Wilderness Safaris. If your name appears on this list, please make contact with the person listed alongside your name. If you know a person on this list, please inform her or him. The Board of Trustees of Benchmark Retirement Fund instructed the Fund’s investment consultant, NMG Consultants and Actuaries (Namibia) (Pty) Ltd, to determine whether the Fund’s default portfolio was still suitably constructed as a moderate-low risk portfolio. After extensive analysis and consultation the Board of Trustees resolved to change the default investment portfolio to a combination of the Allan Gray Namibia Balanced portfolio, Prudential Namibia Inflation Plus and Sanlam Namibia Inflation Linked from the previous combination of Allan Gray Namibia Balanced and Prudential Namibia Inflation Plus. the portfolio has been re-aligned to the objective of the portfolio. The re-balancing of the investment portfolio was done in mid-October 2017. 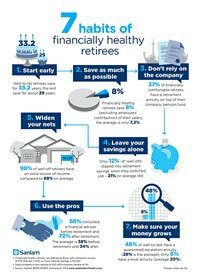 Why preserve your retirement capital? How you manage your pension fund when you resign will decide your wealth. You may withdraw it, but is that the best choice for your future? When you change jobs, stop working or are retrenched and have to withdraw from the retirement fund you have been contributing to, you can preserve your fund credit in the Benchmark Retirement Fund. By transferring your fund credit to the Benchmark Retirement Fund you will preserve it for retirement and will be able to grow it with investment returns. Preserving your fund credit is imperative to ensure that you reach your retirement objectives and is a tax efficient way to exit your current retirement fund. When reaching retirement age (depending on the rules of your current retirement fund), you can invest your fund credit in an investment linked living annuity in the Benchmark Retirement Fund to receive your monthly pension. You can join Benchmark Retirement Fund on retirement. You do not already have to be a member of the Fund at that stage. The monthly pension can be chosen by you, taking the requirements of the Income Tax Act into account. The monthly pension will be a function of the amount of capital available, the investment returns earned and the period for which you require a monthly pension. Managed by Namibians. Trusted by Namibians. How much will you need when you retire and are you investing enough?